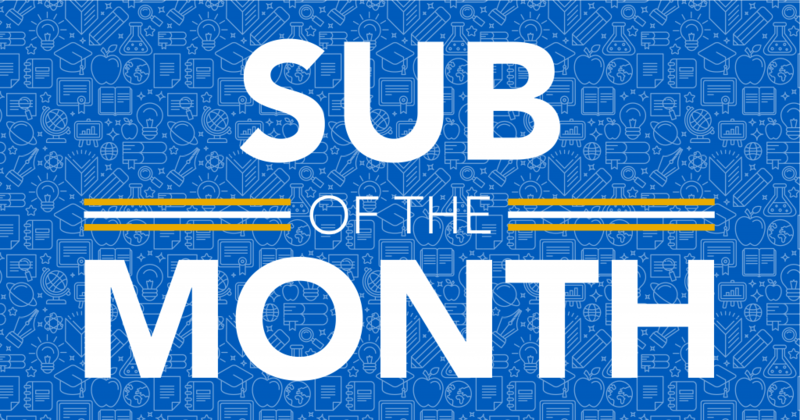 Kelly was chosen as the Sub of the Month because she has been so helpful and communicative throughout the entire semester. She is wonderful about emailing her availability the night before and is always willing to go wherever a substitute is needed that day. Kelly is flexible and takes on many last minute jobs that pop up. She is an asset to MHED and the schools she works in! What do you like most about being a substitute teacher? What I most like about being a substitute teacher is the uniqueness of each day. It’s a bit of a mystery as I walk in the classroom door what might take place over the next eight hours. Why did you become a substitute teacher? I became a substitute teacher because, after staying home with my daughters for several years, they were finally both in school full-time and I was ready to be back in a classroom working with students. What is your background or other jobs you have had? 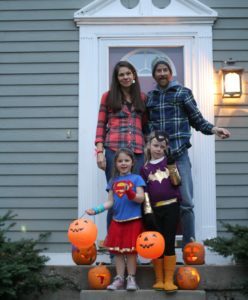 I am a history teacher and I taught at Sumner Academy of Arts and Science from 2005-2011 before making the decision to stay home with my two young daughters. What is your favorite grade level/subject to teach? I have really enjoyed teaching elementary school students — any subject. What do you feel the students like most about you when you fill in as the teacher? I think students like my calm demeanor and positive attitude in the classroom. Having a substitute teacher can be intimidating — especially for younger children — and making them feel that the day is going to be a good one can be reassuring. In my free time, I love to knit, crochet, and spend time with my family. I am married and have two daughters — one in kindergarten and one in first grade. I was born in Rhode Island, raised in Vermont, attended college in Minnesota and now live in Kansas.